According to a noted Chinese expert's recent op-ed in the Washington Post, China may be considering ending its hated one child policy. Among the other abuses well documented by the media is the fact that many children in China are born invisible to the state and illegal under the law. These children are stateless or at risk of statelessness, unable to obtain documents such as the required hukou, or household booklet, and living in the shadows, unable to work or attend school. Even if the policy ends, it will not be easy to obtain a citizenship for those "second children" who are living without documents. Governments around the world often struggle to rectify past registration gaps. Many governments fear the social and political impacts of mass enfranchising large groups. 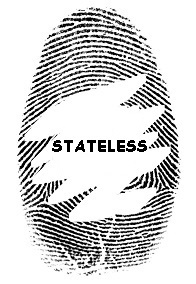 Families who end up with stateless members often come from poorer areas or minority ethnic groups. Sometimes, while a program may be created by the government, individual stateless people are told they don't qualify or are accused of fraud. The best way for China to rectify the problem of statelessness for "second children" born under the One Child Policy would be to institute a period of blanket registration for families who can prove residency in China. Such an exception to China's nationality law would require a massive public relations campaign to inform families of their rights. Governments tend to not be very good at such programs. Will stateless people themselves be able to take part in crafting the solution? Governments often forget to consult the very populations they are trying to help. The end of China's One Child Policy will not be the end of the suffering of stateless Chinese, unfortunately, but only the first step in a long journey towards acceptance. It will remain to be seen if the government is serious about redressing past wrongs, or merely wants to sweep the mistakes of the past under the rug.